Are you or anyone around you struggling with migraine headaches? Do you know that your favorite foods, for which you are a glutton, could be the culprit? If not, this blog reveals five must-avoid foods that can activate severe pain in your head and sensation behind your eyes. Hormonal changes, stress, irregular meals, genes, insomnia are the commonly known causes of a migraine. But seldom do people know that certain foods are also thought to trigger a migraine. In selected food items, certain substances are found that cause change in blood vessel tone, turning on migraines in susceptible people. Some experts recognize it as an allergic reaction too. Some food items trigger migraines only when hormonal changes are at work. Sometimes, it also depends on the quantity of that particular food item. Whatever is the reason, it’s better to know and put an end to these offenders from your diet. When taken in small proportion every day, caffeine helps with headaches. In fact, a certain amount of caffeine is found in migraine medicines too. But extra consumption as well withdrawal of caffeine constituted food and beverages, like soda, tea, coffee, colas, trigger migraine headaches. So an adequate consumption (200 mg per day as recommended by the experts) of caffeine is good. Experts also discourage regular caffeine consumers to stop caffeine consumption suddenly. If eating cheese is giving you headaches, it might mean that the cheese is aged. Aged cheese is rich in tyramine, which is an amino acid. This acid lowers the serotonin levels in the brain and affects the dilation of blood vessels. It is found naturally in many food items other than aged cheese. In food, it is formed after the breakdown of proteins as food ages. Cheeses that have high tyramine contents include blue cheese, mozzarella cheese, feta, cheddar and English Stilton. We all love to get together with friends or family and eat pizza, don’t we? But what if you come to know that your favorite pizza, sometimes loaded with yummy corns and sometimes with mouth-watering mozzarella, is not for you if you suffer from migraine headaches. Unfortunately, you read it right. Pizza contains yeast which is rich in tyramine. The cheese used for pizza contains phenylethylamine and both, tyramine and phenylethylamine, trigger migraine. If you enjoy alcoholic drinks and are a migraine patient, then cocktail parties are not for you. Red wine is considered to be the principal trigger, but experts state that almost all alcoholic beverages including beers, vermouth, sherry, etc. contain a large amount of tyramine, which is one of the most powerful migraine activators. Alcohol can trigger a migraine is two ways: an attack within a few hours of consumption or a delayed hangover headache. Besides this, alcohol causes dehydration, which is another reason for sharp headaches. If you cannot steer clear of alcohol, drink it with a maximum proportion of water or seltzer and very low proportion of alcohol. But if you experience dreadful headaches even after consuming small proportions of alcohol, better refrain from it completely. “Citrus fruits” represent a group of which consists of fruits that taste sour like orange, lime, grapes, lemon, citron, etc. Although it is still not clear if there is truly any link between citrus fruits and migraine, it is possible that consuming these fruits may activate migraine pain. The level of effect varies from person to person. Better keep a diary and log your migraines, the severity of attacks and duration between consumption and occurrence of pain after eating any of citrus fruit. 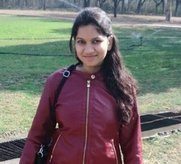 Author Bio: I am an interest-driven blogger and creative graphic designer based in Haryana, Northern India. I hold a Masters in Computer Application from Kurukshetra University. Besides healthcare industry, I am passionate about writing for travel, fashion, lifestyle, and technology.